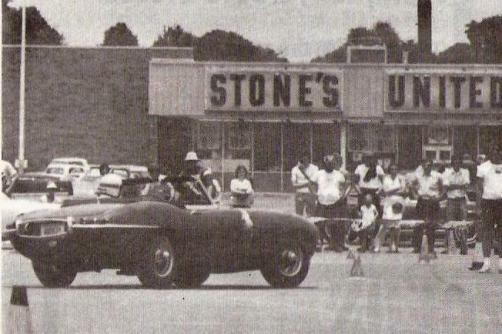 Editor's Comments: Three events were held in 1976 at Choctaw Square Shopping Center. This was a rare occurrence then because lax safety rules and slower speeds allowed for many locations.Choctaw Square was located at 14400 NE 23rd St. currently known as Choctaw Plaza in Choctaw Oklahoma. 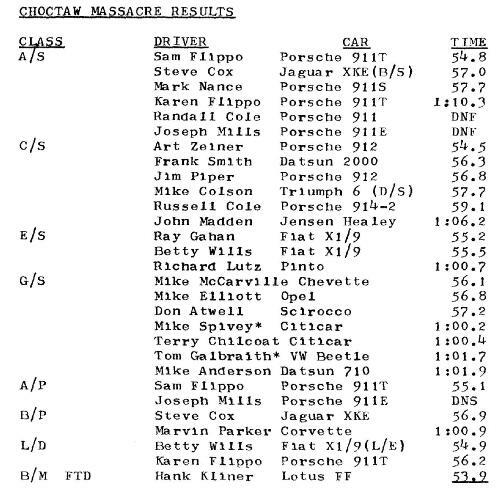 The perpetrators called it “The Choctaw Massacre.” Those who drove it agreed, and asked who had the blunt tomahawks. ? Eventmasters (alphabetically) Mike Elliott and Ray Gahan are known as avid Solo II devotees and their 1st gear track was a challenge and a frustration. 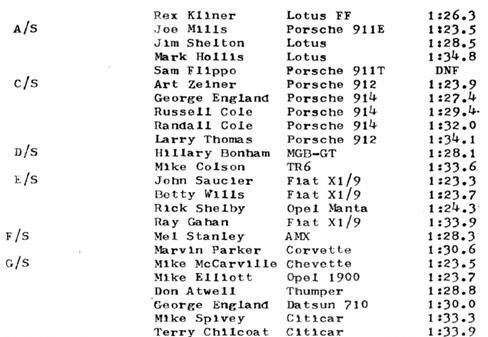 Hank Kliner cranked off the FTD of53.9 on his final run in the Lotus FF to edge Art Zeiner’s 54.5 in the Porsche 912. 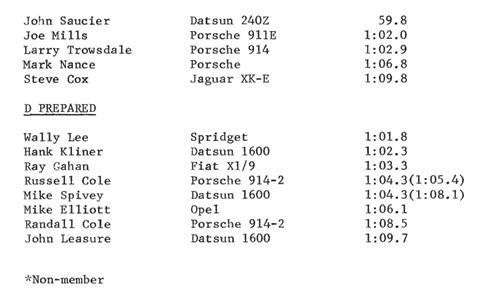 Sam Flippo continued his streak in a rapid 54.8 with the Porsche 911T in A/S. 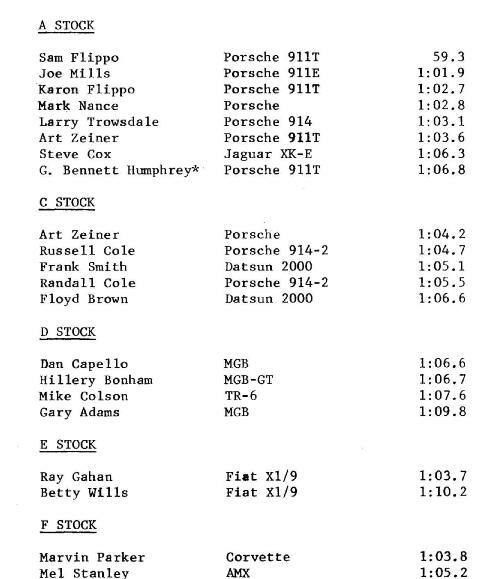 Art Zelner took C/S handily, and in E/S, Ray Gahan edged Betty Wills by .3. 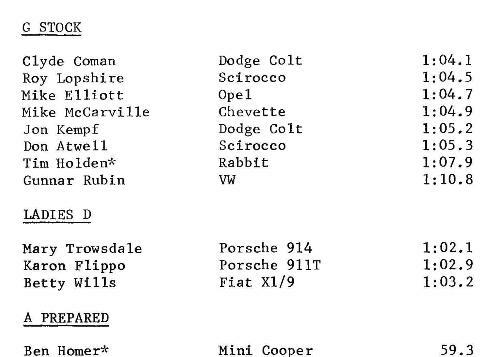 In G/S, Mike McCarville recorded 56.1 in the Chevette and in A/P, Flippo took Joe Mills, who was plagued all day by accelerator pedal problems. Steve Cox took B/P with 56.9 and Betty Wills whipped out a very fast 54.9 to take first in L/D. Kliner’s Lotus Formula Ford arrived with a new coat of yellow paint and mesmerized the spectators, not to mention the course. The Choctaw Massacre Solo II Part II directed by Art Zeiner and a cast of thousands died a natural death (of heat prostration) on July 25th. 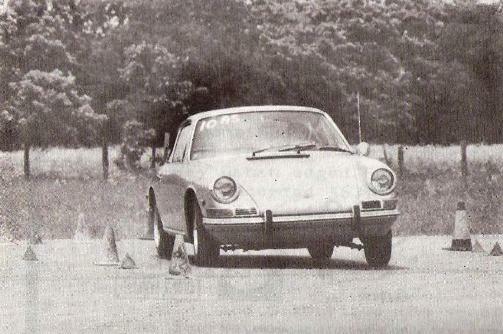 But not before the 110 entrants had challenged Art’s demanding and tiring 2 lap course. The final points Solo II of 1976 was Round III of the Choctaw Square Shopping Center series, a challenging course designed by the madman himself, Ray Gahan. Ben Homer, driving the ex—Franklin (and immaculate) Mini Cooper, did not comment. He was too busy whipping around the course flat out. The Kelvinator Kid, Mel Stanley, did not comment, either. He was too busy taping the letters C-A-B-L-E on the side of the AMX. RE Mike Anderson, arriving in mid-afternoon, muttered something about go-carts and disappeared. 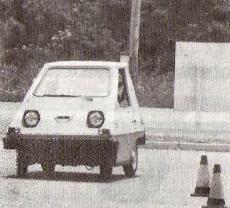 Concours Chairman Roy Lopshire, having circulated the course rather rapidly in his Scirocco, couldn’t understand the problem. He was too busy slapping the steering wheel and grinning.